I often find families have a harder time preparing for the emotional component, because there’s so much to consider in order to transfer a business successfully. It requires some deep introspection and conversations about your family values and long-term goals. • How do you do it in a way that’s thoughtful and not a burden on the children? • How do you match your vision for the business with your children’s identities and ambitions? • How do you teach them stewardship of the wealth they will inherit? • How do you ensure you’re being fair to your children, and to your employees? The best approach is to talk with your children about managing wealth early, often and in an age-appropriate way. Here are five ways to help prepare your children for a successful business transfer. 1. Engage children so they have a positive relationship with money. Children growing up in wealthy families can have broadly varying views about the money and the family business. Some may feel a sense of entitlement and expect to inherit or run the family business. On the other end of the spectrum, some children feel they don’t deserve the assets; they haven’t worked for them and want nothing to do with them. It’s important for parents to address the psychology of money and engage children so they have a positive attitude about wealth and can manage it in a way that works for them. It really comes down to instilling a strong sense of self-worth and allowing them to have their own identities. They need to be able to express their own vision for their lives and pursue their passions, rather than live in your shadow and fear they will never meet your expectations. When you understand their ambitions, you can better prepare them to maximize the family’s assets for themselves and future generations. I suggest talking to them about the importance of being a contributing member of society and how the business furthers that goal — how it creates jobs while providing services or products that improve people’s lives, or perhaps how the company’s philanthropic activities benefit the broader community. Explain to them that the business can add to their lives and give them the tools and resources to accomplish great things. 2. Help them understand the responsibility. You and your family have worked hard to achieve success. It’s vital that your children understand that focused effort and stewardship must continue in order to maintain the business. While they have watched you build, enhance and evolve the family business throughout their lives, it’s important that they understand what it all means to you in order to create purpose and meaning for them. Start by sharing your family values and making them a common part of everyday conversations and behavior. Tell the story of the family business. Who came up with the idea? Why? How did it grow? What challenges did you have to overcome? What unexpected rewards came along the way? Why did you make the sacrifices you made? What was worth it, and what wasn’t? Humanizing the company can help build a nurturing sense of responsibility in your children. As they get older, talk to them about the technical side of estate-planning concerns. Explain to them how you intend to transfer the business (i.e., the entities and transfer techniques that will be used, who will hold voting shares, etc.) and whether you’ve set up trusts for them. When they’re old enough to understand, let them attend wealth planning meetings with your advisers so they can hear directly from professionals about the legal and tax issues and why assets need to be transferred in certain structures. Once they understand how hard it is to achieve and manage success, they can appreciate the full value of the family’s business. 3. Give them age-appropriate tasks. It’s never too early to start educating children about the value of money and a strong work ethic. When they are young, teach them how to count money and save for important things. You may want to give them a small bank account so they can start learning about cash flow, budgeting and saving. Find age-appropriate opportunities that fit within your family values for them to earn money. As they get older, you could give them a small pool of assets to invest themselves. Teach them or have your advisers explain how to research companies and determine value metrics, rather than follow news headlines. If you want them to have an altruistic attitude about money, involve them in a donor-advised fund or in your family foundation. If they are interested in taking an active role in the family business, teach them about the business and tell them what qualifications are needed to obtain a job there. 4. Inform them about all the assets they will inherit. I know one woman whose parents transferred a significant portion of the family business to her and her sister through a trust. But the sisters have no idea how much is actually in the trusts — the value of the family business or other assets. Although the woman is involved in running the family business, she knows very little about the assets that have been set aside for her and whether or not she has access to them. She wonders how she should plan for a spouse and family, or any other future endeavors. Will she be able to use the assets for these purposes? Or should she rely solely on her and her spouse’s earnings? When your children are mature enough, let them know exactly what business interests and other assets they will inherit and your intentions for them. Will your child’s spouse have access to them? Can the assets be used only for the grandchildren? How should your children think about the business compared with other assets they will inherit? Is it OK for them to sell company shares? Can they use the assets now to further their own interests, or must they wait until you pass away? When possible and appropriate, I recommend you share your overall family estate plan as you discuss this information with your children so they can see how each asset fits into the full picture. 5. Respect their goals. It may be your dream to have your son or daughter follow you as chief executive of your company, but it may not be theirs. Respecting their goals ties back to giving them the space and tools to develop and maintain self-worth so they have a positive relationship with money. If someone joins the family business but thinks the job is a burden and limits their dreams, the individual, the company and the family will all suffer. Help them figure out how the family can help them fulfill their goals. Maybe it’s best to develop them as knowledgeable owners who don’t work in the company. Perhaps you could start a “family bank” to help finance their independent business ventures. If they do want an active role, think about what experience and education they will need, and how you can develop their leadership capabilities. There are many family dynamics that play into your plans to pass your family business on to your children and future generations. One size does not fit all. The most harmonious transitions occur when the entire family is emotionally ready to take the next steps. Having these family dialogues often and throughout your children’s lives will help you with succession and estate planning. The conversations will open up different options to transfer your business and wealth in a manner that satisfies both your and your children’s goals and, ultimately, helps you establish and maintain the legacy and family harmony you desire. 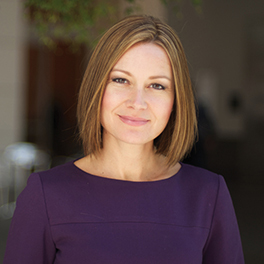 Nikki Michelini is a director in wealth management and a principal working in the San Francisco office of Aspiriant, a wealth management firm serving affluent clients nationwide (aspiriant.com). Her area of specialty is family office services.